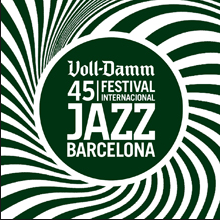 Like the metropolis it represents, the Voll-Damm Barcelona International Jazz Festival, which launches its 45th edition on Oct. 19, is a diverse, cosmopolitan event with a global perspective that proceeds at a leisurely pace at various venues over its six-week span. One of Barcelona's most distinguished theaters, BARTS (Barcelona Arts on Stage), hosts Cameroonian singer-electric bassist Richard Bona (Oct. 20), Israeli bassist-composer Avishai Cohen with Strings (Nov. 22), Catalan singer Marinah (Nov. 21)and drummer Jack DeJohnette's group with clarinetist Don Byron (Nov. 15). Learn more here.